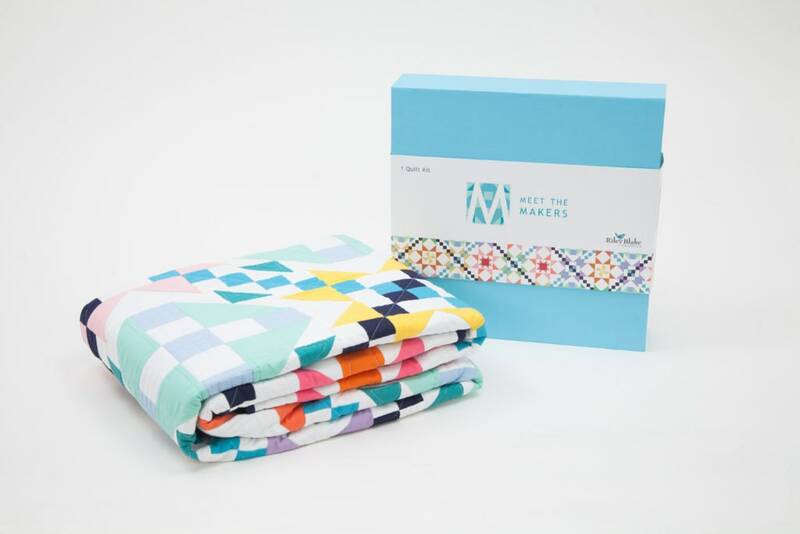 The Meet the Makers Quilt Kit includes pattern and fabric for quilt top and binding. 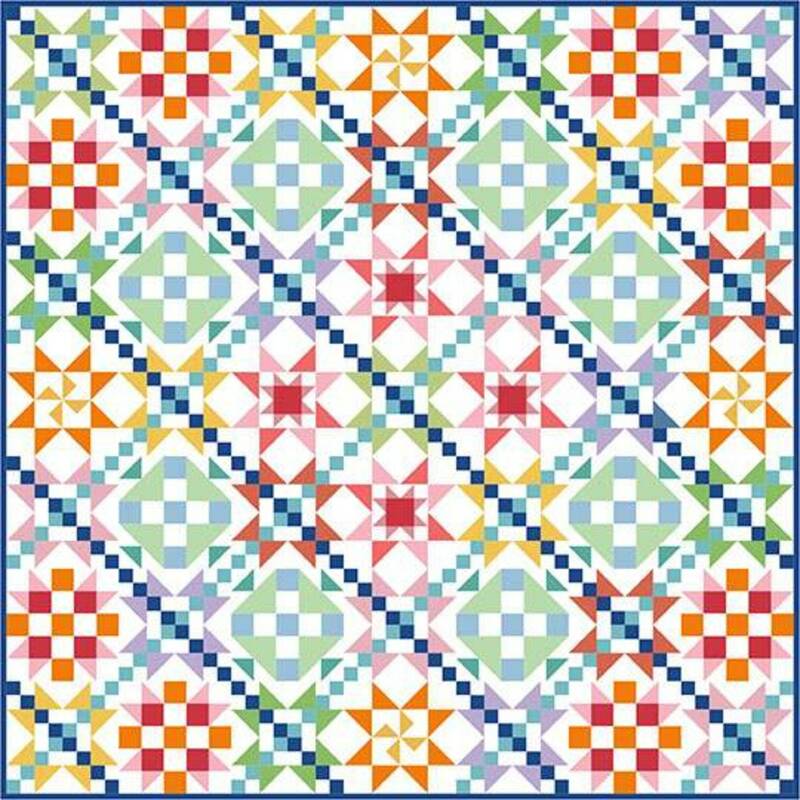 Fabric featured is Riley Blake Designs Confetti Cottons. You can find instructions and video tutorials on blog.rileyblakedesigns.com. 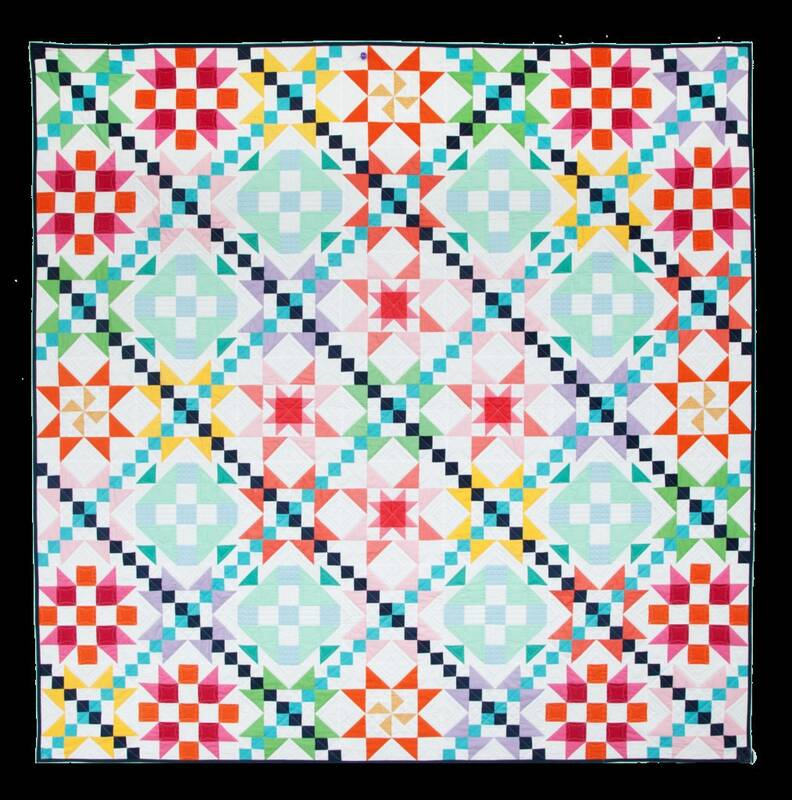 that will walk you through the steps to create each block. Comes in a keepsake Riley Blake Designs box. Finished size is 70" x 70". Love the colors and the cute box it came in!! !